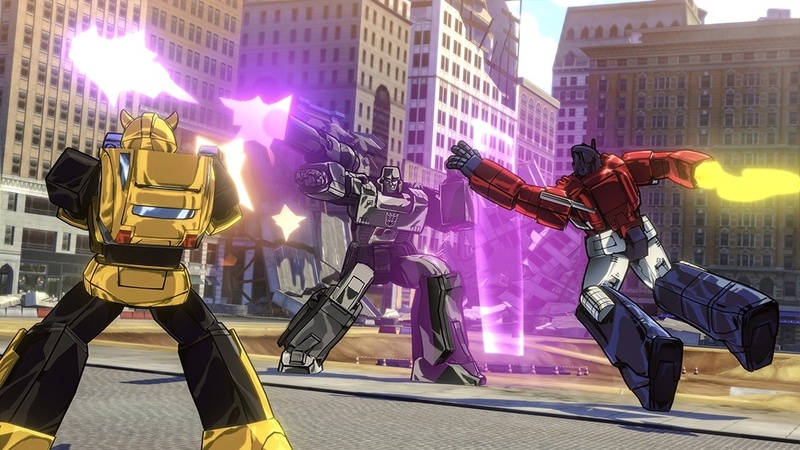 Transformers: Devastation, I need it! 14 juni, 2015 Säg något! It’s leaking! It’s leaking! Plug the damn hole! It really is a shame when some of E3’s surprises leak out beforehand. 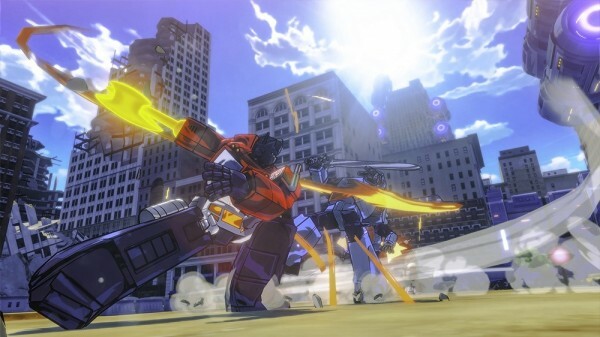 And Transformers: Devastation is one such game that leaked out. Said to be developed by Platinum Games it is a Transformers G1 brawler and it looks fantastic!! I can hardly wait until we see it in action! BestBuy had posted some info on the game a bit too early, it will be released on PS4, PS3, Xbox 360 and Xbox One. It will feature 5 playable Autobots, Optimus Prime, Bumblebee, Wheeljack, Sideswipe and Grimlock. I’m hoping we can play as Decepticons too! The game is cel-shaded and can be one of the prettiest cel-shaded games I’ve seen. It really is a fantastic look for a Transformers game. I have high hopes for this one, this really is a game I didn’t know I wanted. But man, I really want it now! I hope it turns out good and it will be met with success to ensure more G1 Transformers games. And Peter Cullen and Frank Welker are to return to voice Optimus and Megatron. The way it should be. Man, I’m so hyped for this. Hopefully when the game is officially announced we’ll get a trailer too. This is really the kind of stuff I need after the in my opinion terrible TV-show, Transformers: Robots in Disguise. I can’t stand it, we went from Transformers Prime to that. Yeah, okay sure. Transformers Prime set the bar very high, but still… They could have produced something better than that. Sigh. Now a G1 revival type of show with the animated style of this game, now that is something I would do terrible things to have.